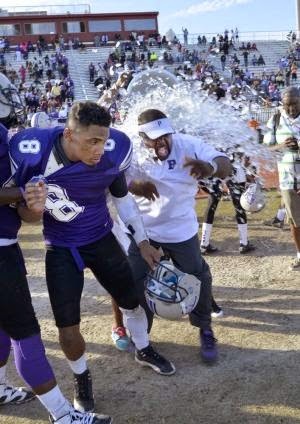 Covering HBCU Sports with an Emphasis on Black College Football! The Lions restarted their football program with the help of then Athletic Director Tim Duncan fielding a club team in 2013 after 52 years of not having a team. This past season was the Colleges' first full season at the division II level and as members of the SIAC. The Lions 2014 Campaign started with a 6 game losing streak ! Despite coming up on the short end of those games the Purple and White Cats came out growling and taking the fight to their opposition! losing to Shorter by 4,Livingstone by 3 , Lane by 2 . The Lions continued to make their opponents aware that to beat PC a battle was very neccesary as they lost to Morehouse by 10 ,Albany State and Limestone By 17. Then it happened and on Homecoming weekend ! Coach Ruffin and his Lions pounced on Edward Waters 38-14 and carrying that momentum into a battle with Fort Valley State ! 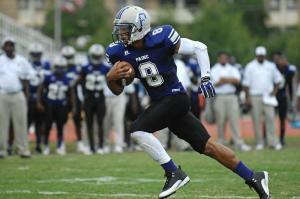 The Purple and White went on to Lose to Fort Valley State by 13 (23-10). The Lion attack was lead by Qb Loranzo Hammonds on the ground and in the air ! Greg Ruffin who was brought in as the man to get this program on its feet can take some satisfaction that his LIons closed out the 2014 campaign on a winning note, beating Benedict 45-34! 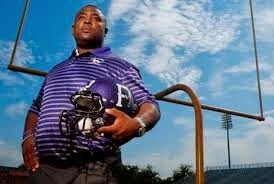 Unfortunately for Purple and White fans there will be no football for the next two years! Paine has suspended its football program in order to " Firmly establish the financial health of the college"
It has been reported the the financial probation of the college played a major role in this decision ! Please support our HBCUs' and Student Athletes who use their experience to make a difference as they take steps off the playing field into leadership roles in our community. Make sure to check out who comes in at #43 in the TAJT-10 HBCU Final Football Poll of 2014 and 2015 Preview !